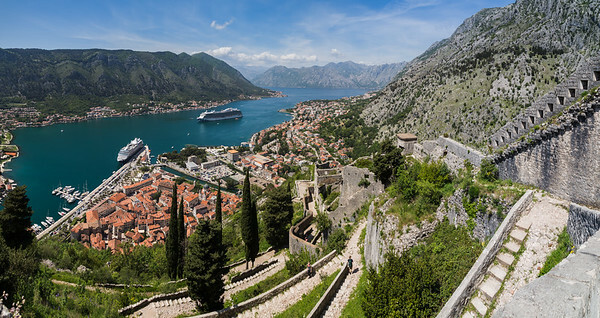 Images taken along the Bay of Kotor during the late Spring 2017 featuring the pretty town of Perast & and walled city of Kotor. 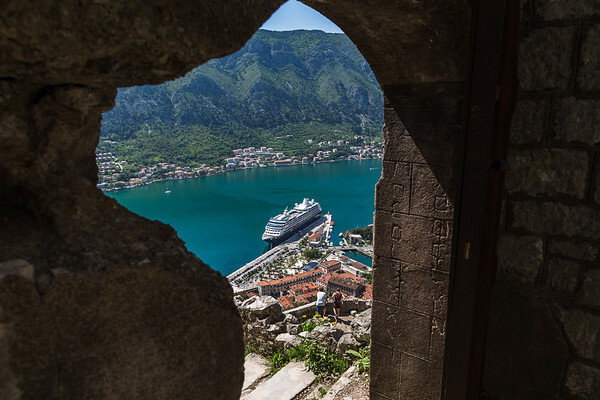 Looking down on the coastal town of Kotor in Montenegro, located in a secluded part of the Bay of Kotor - surrounded by fortifications and walls. 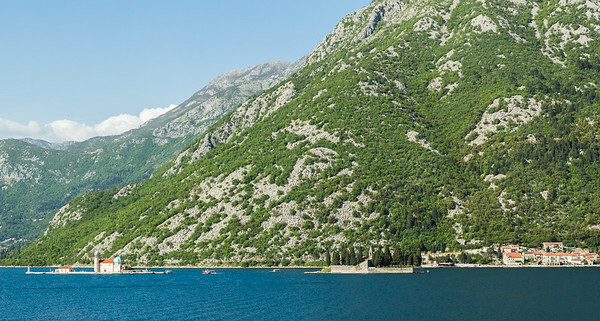 The breath-taking scenery seen in the Bay of Kotor – surrounded by grey rugged mountains & rich green vegetation. 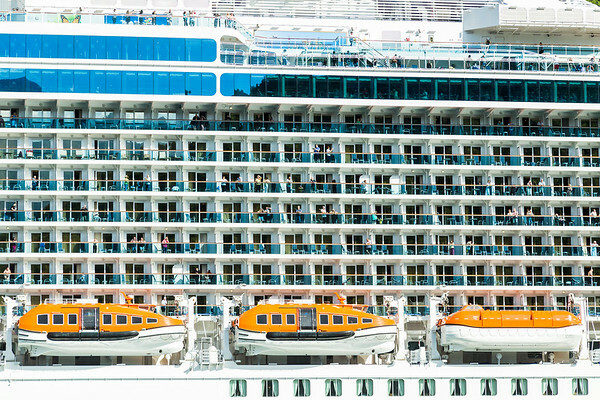 The Majestic Princess departs Kotor navigating the peacock coloured waters of the Bay of Kotor as she goes. 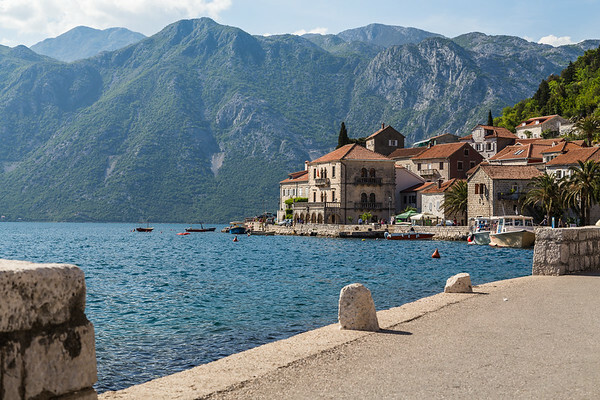 A multiple image panorama captured on the quay in historic town of Perast in the Bay of Kotor, Montenegro, late one Spring afternoon. 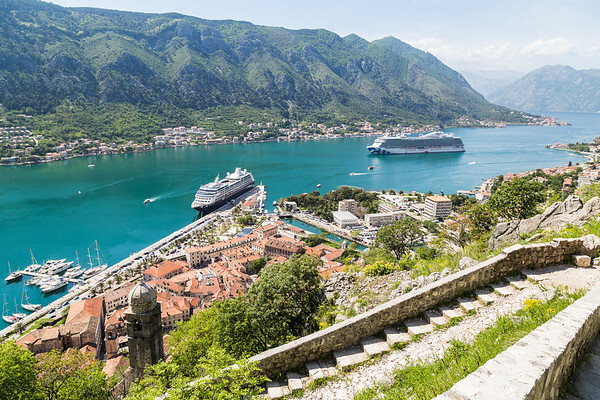 The coastal town of Kotor in Montenegro tucked away at a secluded part of the Gulf of Kotor under broody mountains. The Church of Our Lady of Health seen part way up the upper town walls above Kotor. Kotor Cathedral pictured against the east side of Kotor - backing into a cliff face with a meandering defensive upper town wall climbing the mountainside. 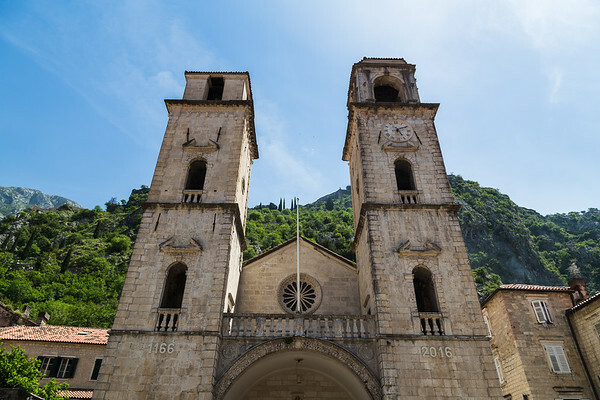 The building was damaged & had to be rebuilt following the 1667 Dubrovnik earthquake however they ran out of money meaning one tower is shorter than the other. 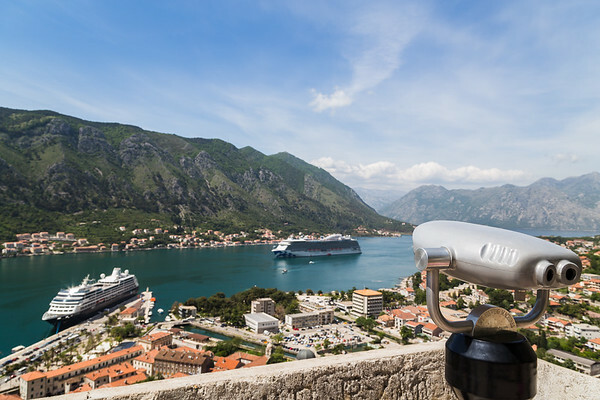 Thanks to the natural beauty of the fjords in the Bay of Kotor & the old town of Kotor, tourism has increased recently & it’s not uncommon to see multiple cruise ships on the promenade or anchored just off the mainland. 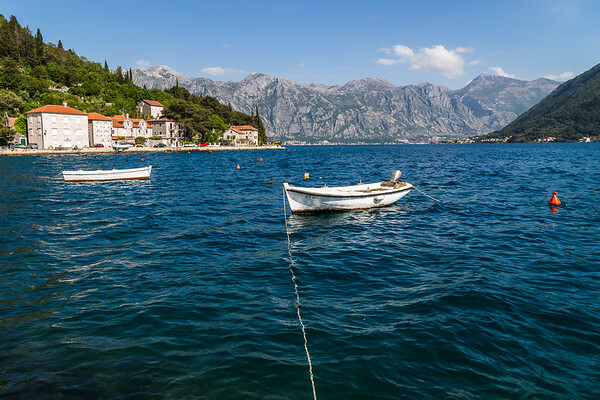 The old town of Perast seen at the foot of St Ilija along the picturesque coast of Montenegro. Climbing up the meandering upper town walls above Kotor (a short version of the Great Wall) via 1350 steps.